Today Android is the leading brand in software development and services that has favored numerous users all over the world by its majestic features, graphical user interface and updates. Google Play Store plays with a lot of apps that makes it one of the best android markets in the world. On the other hand IOS is also not less it has been running its latest to latest version in iPhone , iPod and iPad including the new latest IOS 6 in the recently launched all new iPhone 5 that has stunned the nation with its launch. Recently the latest news by IDC 1.3 million devices are being activated with Android daily and Android has 68% market share and is dominant over IOS. 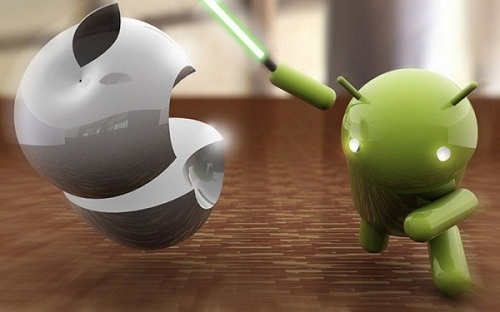 IOS has a market share of 17% which is very less as compared to Android. Next comes is the Blackberry that has just 4.8% market share. Symbian is at 4.4% of the market share. Strange fact is that Microsoft the builder of world web is last with its Microsoft windows for mobile at 3.5%. these statistical data’s are latest and shows that Android has build a strong foundation in the world in case of its services and operating system.